I’m not usually a burger person. Sure, I’ll order them every so often at veg restaurants if the mood hits, and there’s definitely an uptick in my patty consumption during the summer months, but in general I could take or leave them. When I do take them, I typically opt for a burger that’s more veggie than meaty. 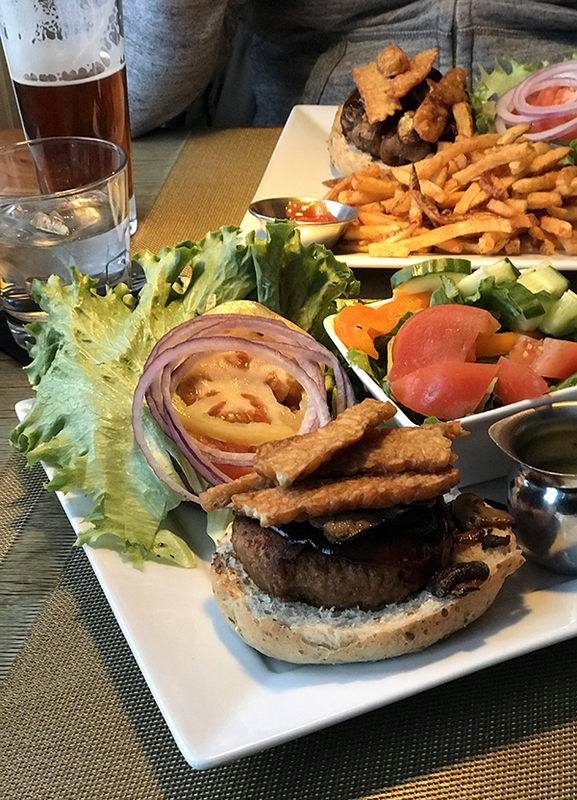 At least that was the case until I tried my new favorite restaurant meal: the Beyond Burger, served with tempeh bacon, sautéed mushrooms, BBQ sauce, and all the veggie fixins on a big ol’ wheat brioche bun. It might look like your average veggie burger, but oh. my. goodness. It is phenomenal, and I’ve eaten it an embarrassing number of times over the past few months. It’s juicy, sweet-and-savory, and full of so many delicious textures… and it’s served alongside my favorite style of french fries: skin-on, nearly shoestring, with just enough salt. Barking Mad does both sit-down meals and take-out, which is a boon for those of us who live close and prefer to eat while wearing jammies. I’ve only done a sit-down meal once, on my birthday, and found the ambiance and service a bit mystifying. There’s a back bar section, which seemed quite busy, and then a surprisingly massive table section with chrome and hot pink accents and a big window opening onto the kitchen, with the massive brick oven taking center stage. Although the bar was hopping the night we went, the rest of the place was not full by any means, yet the service was surprisingly slow. It took me an age to get my old fashioned (meh), and our food was similarly delayed. On the plus side, in warm weather you can sit outdoors on a lovely — and large — patio. Barking Mad is situated in a fairly new mixed-use complex, with apartments facing a small retail development. There’s a splash pad, community lawn, and “performance park” in the central shared area, though I’ve personally never seen any “performances” other than dogs straining to have a pee on the artificial turf! All in all, while the service may be disappointing, the vegan food at Barking Mad is anything but. 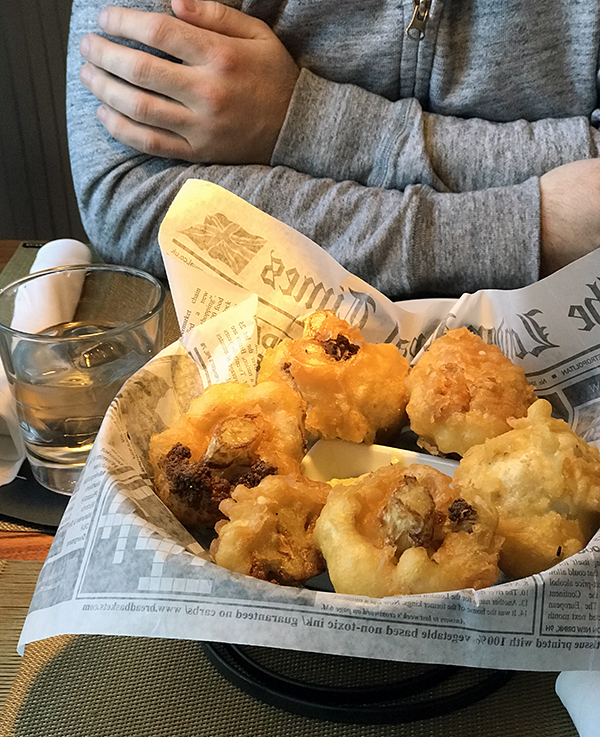 And the restaurant itself is a great addition to the dismal vegan scene in Gaithersburg. During the warm months, their cold-brew nitro coffee is my occasional morning splurge on the way into work: It’s gorgeously smooth and a perfect, hyper-caffeinated start to the day. Now if only they’d add some vegan options to the brunch menu! You can take one of two perspectives when it comes to finding vegan shoes. One, that it’s a frustrating endeavor because you have limited options — and especially limited budget options — and you will likely have to order online, with no chance to check sizing in person. Two, that it’s freeing! Rather than suffering from the paralysis of choice, with literally thousands of options at big-box shoe stores and hundreds of online shopping sites, you have a select few vegan shoe brands from which to choose. You can just put on your blinders, ignore the non-vegan options, and not have to stress out about which of 284 nearly-identical pairs of trendy black Chelsea boots is the “right” one for you. I’ve decided, unsurprisingly, to take the latter perspective. Once I know that I want cruelty-free vegan shoes that are also made ethically, my options are, frankly, slim. Not many brands meet both those criteria, although I have seen more and more pop up over the last couple years. But one long-time purveyor of ethical vegan shoes has long been on my radar: Will’s Vegan Shoes, AKA Will’s of London. And this brand has a lot going for it. Ethics. All shoes are 100% vegan (and labeled as such! ), and the company manufactures them under fair labor conditions in Portugal. A commitment to the environment. Will’s just rolled out a new carbon-neutral delivery process, and they are moving towards using more eco-friendly materials in their actual shoes. Stellar customer service. If you follow Will’s on Instagram or elsewhere, you’ll frequently see Will himself (yes, he’s a real person) responding directly to questions. Reviews confirm this observation: The team is truly invested in keeping customers happy and will do what it takes to get you shoes that fit and that you love. The price. 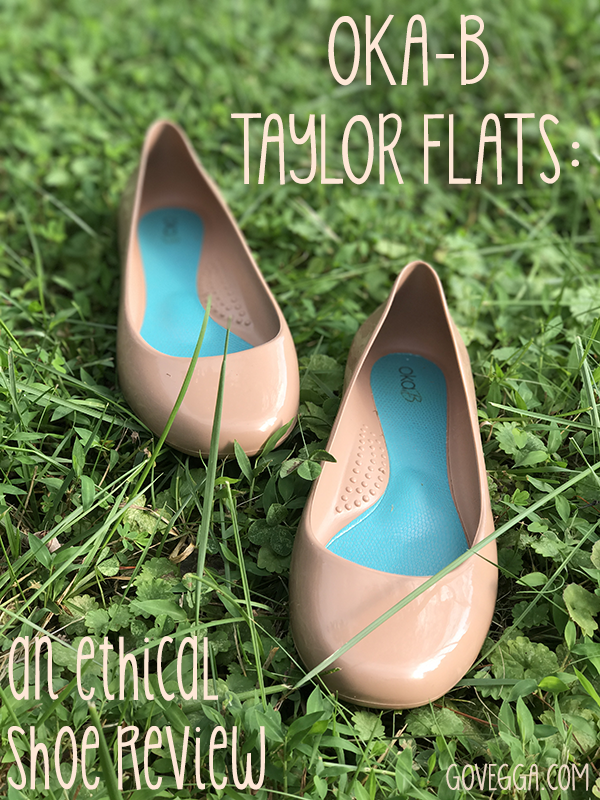 Although you may balk at spending ~$100 for a pair of shoes if you’re used to, say, Payless prices, ethical vegan apparel is not cheap. Yet the prices at Will’s are actually quite affordable compared to similar ethical shoe brands. And the free shipping mentioned above really helps reduce the cost. The shoes themselves! Will’s has a truly impressive range of both women’s and men’s vegan shoes, a rarity in this already small world of ethical vegan shoe brands. Choose from the formal (faux-suede heels) to the casual (biker boots) to the eminently versatile (ballerina flats). I particularly love the more androgynous women’s styles, like the sleek work boots and dapper derbys. Although Will’s had been on my radar for years, I never really *needed* to buy from them until last fall. 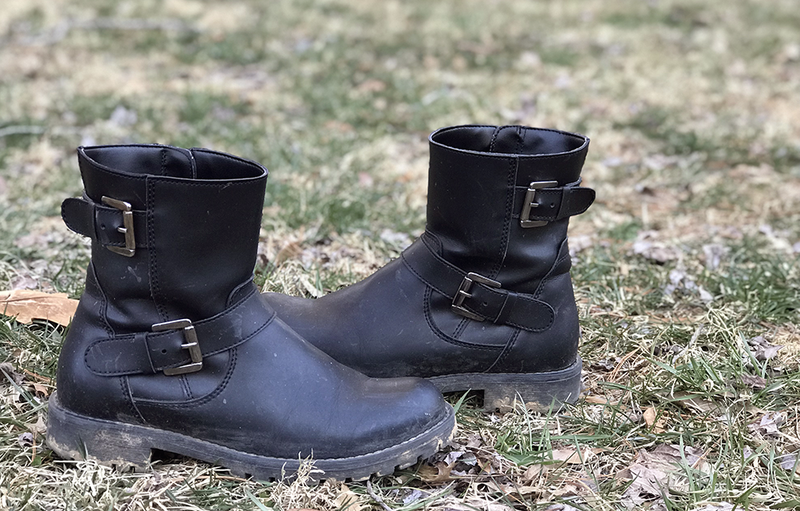 At that point, my new commitment to buying ethically produced clothing meant I couldn’t settle for big-box store specials when I wanted a pair of leather-free boots, so I pointed my browser to Will’s with the intent of making my first purchase. I’d been eyeing the super-snazzy dock boots for a while and finally pulled the trigger. 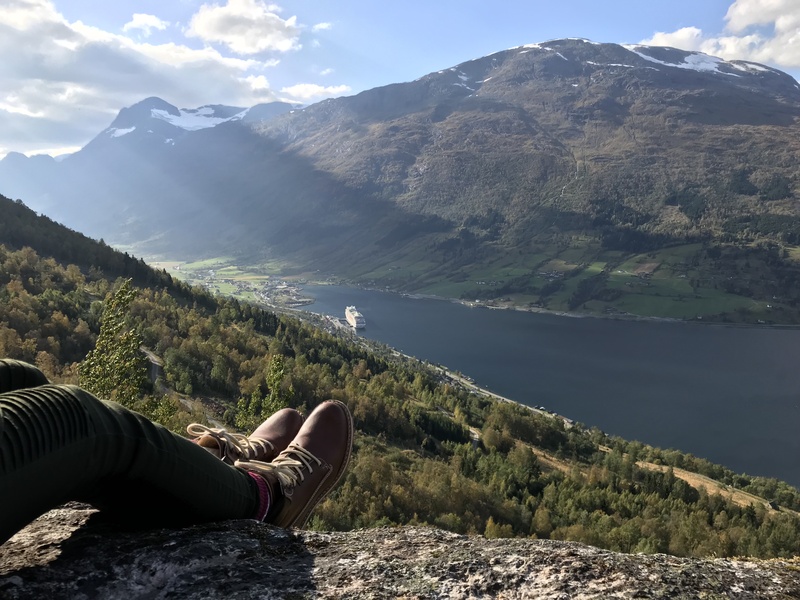 Steven and I were preparing for our vegan cruise to Norway, where I knew we’d spend our shore days doing some (relatively light) hiking. 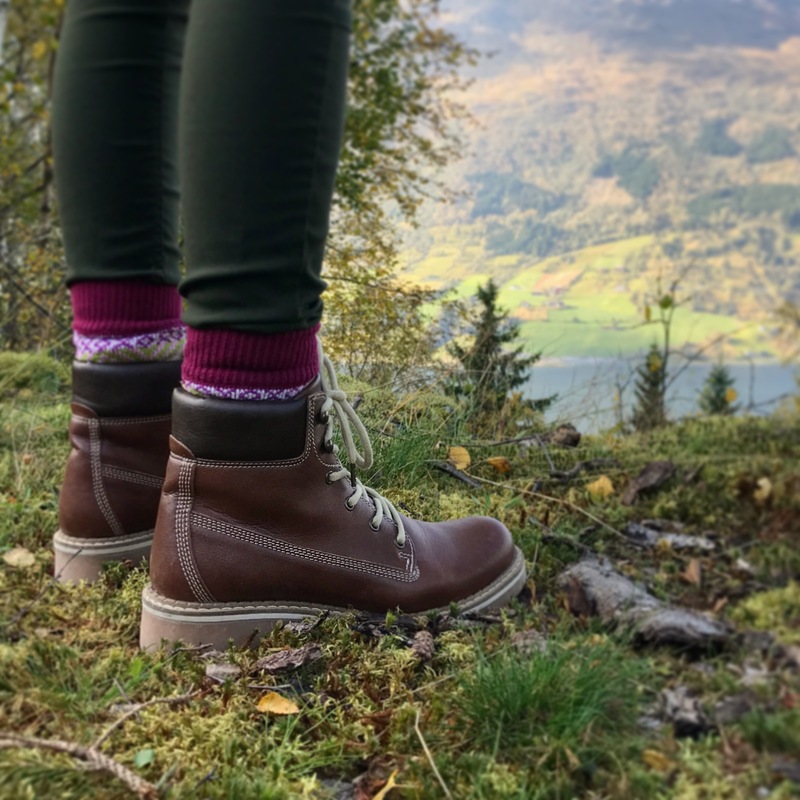 I wanted to have an alternative beyond the vegan Jambu sneakers I was also bringing, and the stylish chestnut dock boots fit the bill. Here’s how my purchase turned out. Note: I also recently purchased a (gently used) pair of Will’s sneakers on eBay (and got a great deal). They seem to be this style, but in a grey color that’s not in stock at the moment. So although my review here is primarily of the dock boots, I’ll also draw on my experiences with the sneakers for added anecdata! How do Will’s Vegan Shoes fit? Given that Will’s is a British brand, its sizing doesn’t correspond directly to American sizes, so I had to guess and hope for the best. I usually wear a U.S. 7.5 and opted for a European 39 in the dock boots. I’ve seen a 39 equated to both a U.S. 8 and an 8.5, but it fits me perfectly, so take that as you will. This is true for both the dock boots and the sneakers. The good news, of course, is that Will’s generous return policy takes some of the stress out of the size conversion. If your shoes don’t fit, you can exchange them at no charge. How is Will’s Vegan Shoes quality? Both my dock boots and sneakers seem well-made and thoughtfully designed. 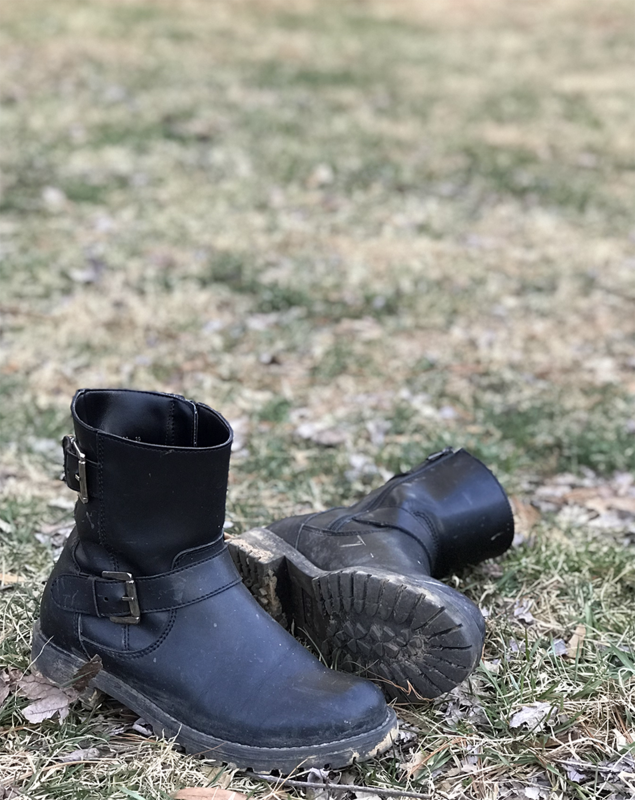 Neither pair is remotely flimsy or cheap; and the faux leather on the dock boots is really nice — none of that flaky stuff you find on cheap vegan shoes. I bought the sneakers (gently) used, and they really have no marks on them. I’ve now had the dock boots for about five months and they’re also in great shape, although admittedly I don’t wear them all that regularly. But they certainly didn’t sustain any damage from my Norwegian hiking endeavors! Are Will’s Vegan Shoes comfortable? Here’s where my answer gets a little complicated. Yes… ish. 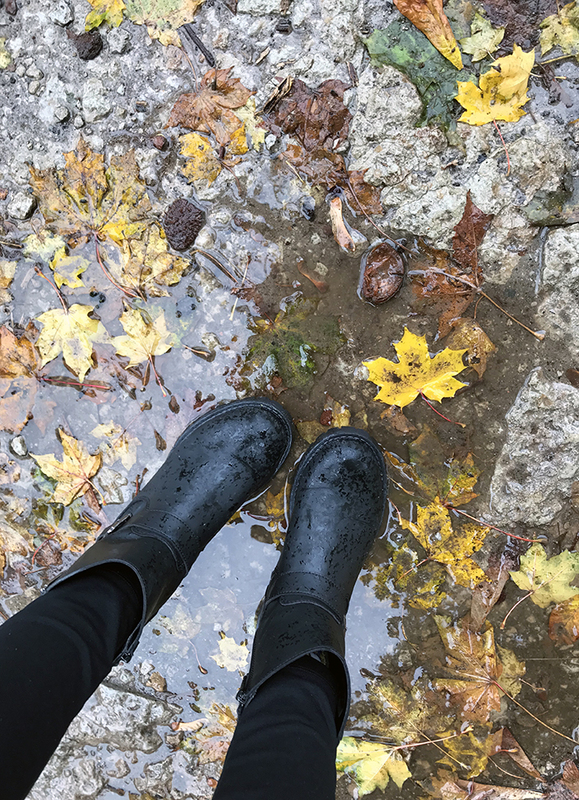 I made sure to break in the dock boots before our trip since I knew they might irritate my ankles, and that definitely helped. Neither pair is remotely uncomfortable, and I did not get blisters from them, but I do notice I’m wearing them, if that makes sense. With some shoes, they’re so comfy you feel like you’re just wearing an extension of your own feet. That’s not the case with my Will’s shoes, and I think it’s because the soles are quite flat and very inflexible; I have high arches and prefer soles with a little more shape to them. I’ll probably need to add inserts to both pairs just to make them a little comfier. I also noticed that both pairs of shoes are quite stiff — I think the high-quality materials they use are just a lot sturdier than the cheaper shoes I’m used to! Where can I buy Will’s Vegan Shoes? I’d start with their official site for a list of all available styles, the best prices, and that unbeatable free shipping. But I have occasionally seen them at other vegan shoe retailers, although most don’t carry every style. If you are in the UK, I believe some brick-and-mortar shops stock them as well. There are even some styles on Amazon, but I would exercise caution there — it’s unclear who’s actually selling them. Finally, check out eBay — like I mentioned, I got my sneakers there and got a great deal! Where can I find other Will’s Vegan Shoes reviews? Other than the short reviews on each product page on the official site, truly informative and comprehensive reviews are sparse. 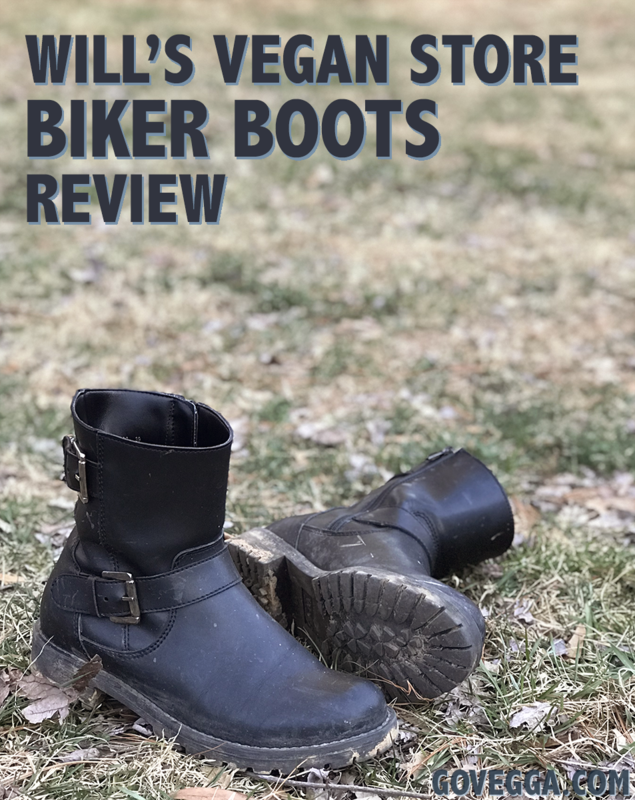 Mihl of Seitan is my Motor has a review of three separate styles, which I found quite helpful when considering my purchase, and The Spooky Vegan reviewed two styles here. Vegan Miam has a great review of both the desert boots and work boots, and it includes an interview with Will himself. I also just found this “test” of the brand over at Gentleman Buddha, which includes five separate pairs. Would I buy Will’s Vegan Shoes again? Yes, definitely! 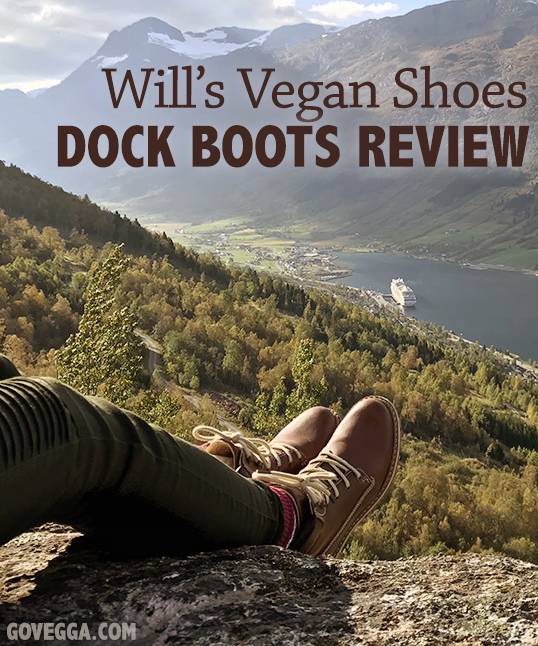 The Will’s Vegan Shoes dock boots are beautiful, well-made, ethical footwear, as are the sneakers. I think I just need to figure out how to make the flat soles work for my feet! I’ve got my eye on a few other styles as well, and I’ll continue to monitor eBay for more affordable gently used pairs. Disclaimer: I was not provided with free shoes from Will’s nor compensated in any way for a review. (Although I would happily try another pair to review!) I simply bought the shoes and wanted to share my thoughts in a Will’s of London shoe review. Week One: Treat Yourself (and others)! When I brought this bottle home, visions of complicated maple-y cocktails danced in my head… and then I tasted it, and since then, I’ve pretty much solely enjoyed it straight. Unlike some cheaper liqueurs, this is the real deal. Rather than employing artificial flavors to approximate maple, this beautiful beverage relies on pure maple syrup. 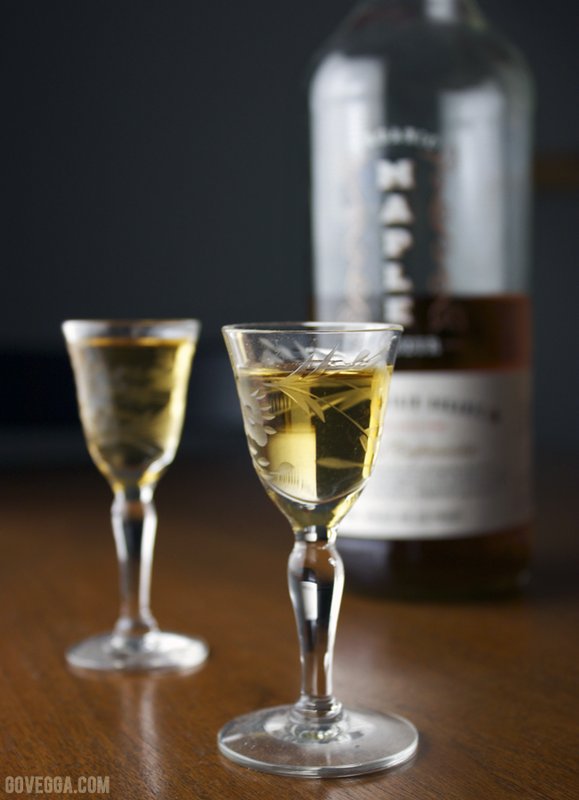 It’s smooth, rich, and basically an ideal liqueur for a maple-lover. I treat it as a digestif, enjoying it after a meal, but its sweetness and lack of bitter herbs makes it more like a sweet dessert drink. And it looks so beautiful in these antique aperitif glasses we got from Steven’s mom. Sometimes I’ll enjoy it over ice; the cold really brings out this liqueur’s flavor. And I’ve been known to add it to hot chocolate (see: here). But really, straight-up is where it’s at. And that is why, on this first Friday of Vegan MoFo, I’m treating myself to a little maple tipple. Drink up! 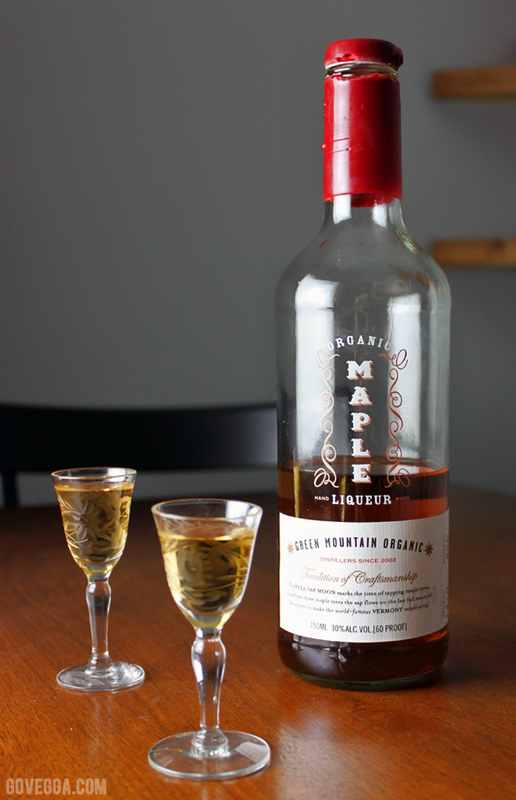 How would you enjoy maple liqueur? Picture this: You’re sitting in a conference room after a daily hour-long meeting ends, catching up on a few emails and chatting with a couple coworkers. In walks another coworker, Sarah. “Hey, do you guys want a brownie?” Sarah asks. Something to note about Sarah: She and her husband Hanes run a vegan baking company. With that in mind, is your answer going to be anything but a resounding YES? I think not. You proceed to try the fudgiest, chewiest brownie you’ve had in ages. You tell Sarah how amazing it is. 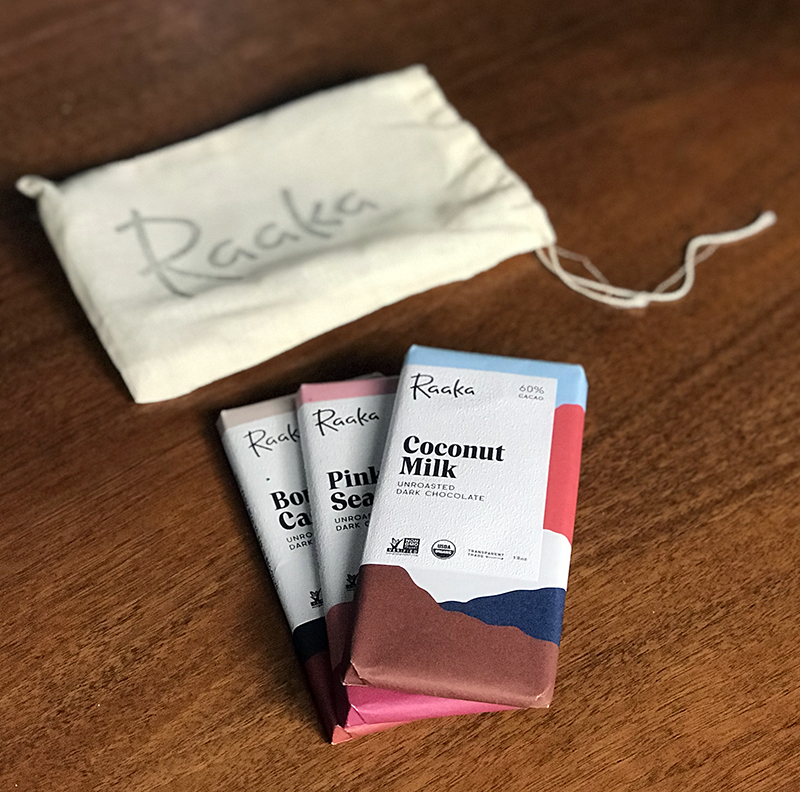 Although A Better Batch is based in Maryland, their cookies are available to anyone in the United States thanks to their unique business model. ABB sends you frozen cookie dough that you can bake in your own kitchen. By shipping the dough quickly and packaging it with dry ice, Hanes and Sarah make sure that it will arrive still frozen and ready to bake. 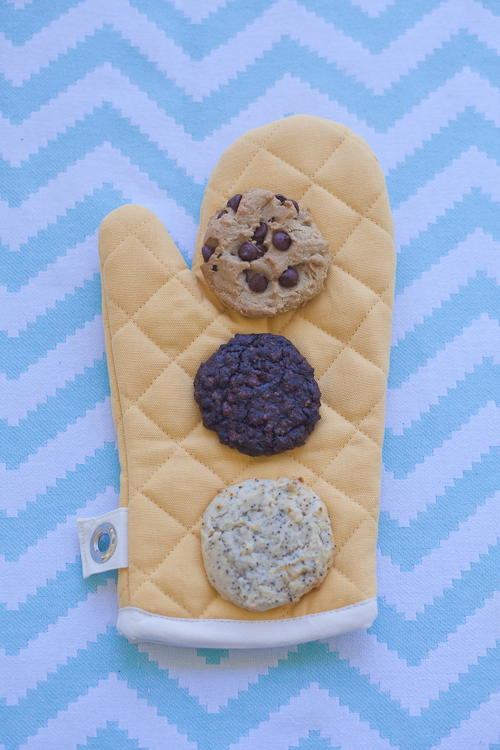 Right now, ABB offers three flavors: mocha oatmeal, lemon poppy seed, and classic chocolate chip. 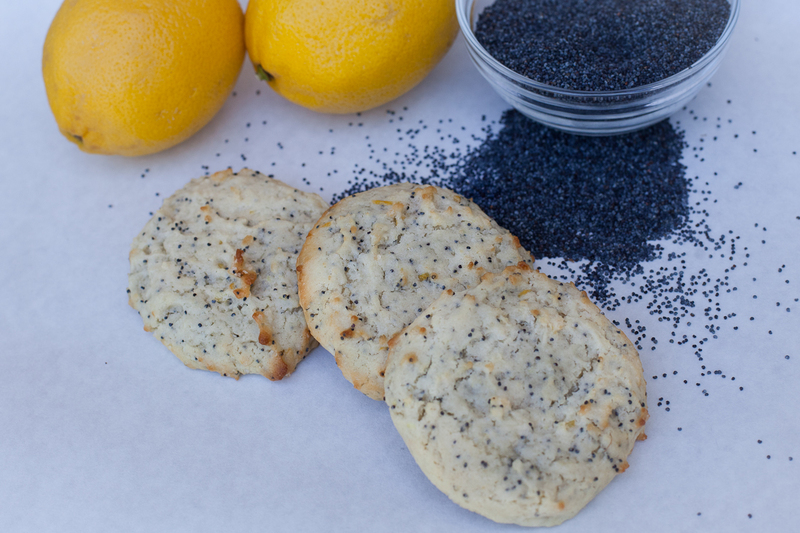 I can say with no reservations that their Lemon Poppy Seed cookies are the best I’ve ever tasted. Bursting with bright lemon flavor, they’re absolutely fabulous. Hanes and Sarah have managed to distill this flavor combination into a perfectly chewy, moist cookie that’s not to be missed. Mocha oatmeal is probably my second favorite — it’s another beautiful cookie, bursting with chocolatey goodness. Chocolate chip comes last, but not because of any defect — it’s a darn good classic cookie that anyone would enjoy. Hanes and Sarah carefully source their ingredients, using fair-trade and organic options whenever possible. And by virtue of being vegan, these cookies are free of cholesterol. 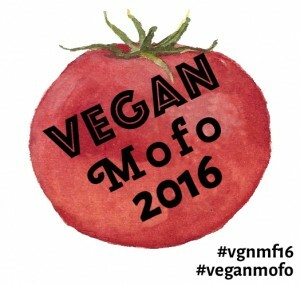 Everything is vegan — no animals harmed here! The cookies are shipped in biodegradable packaging instead of styrofoam containers, which we all know are horrible for the planet. And the individual wrappers are recyclable. I’ve had the pleasure of trying ABB’s cookies a few times, but I wanted to know a little more about their business. So I reached out to Hanes, and he graciously answered all my questions and sent me a box of cookies to sample. Read on for his thoughts! Kelly: Let me start by saying how much I LOVE your lemon poppy seed cookies — they’re the best! Right now, you only have them and two other flavors available (chocolate chip and mocha oatmeal). 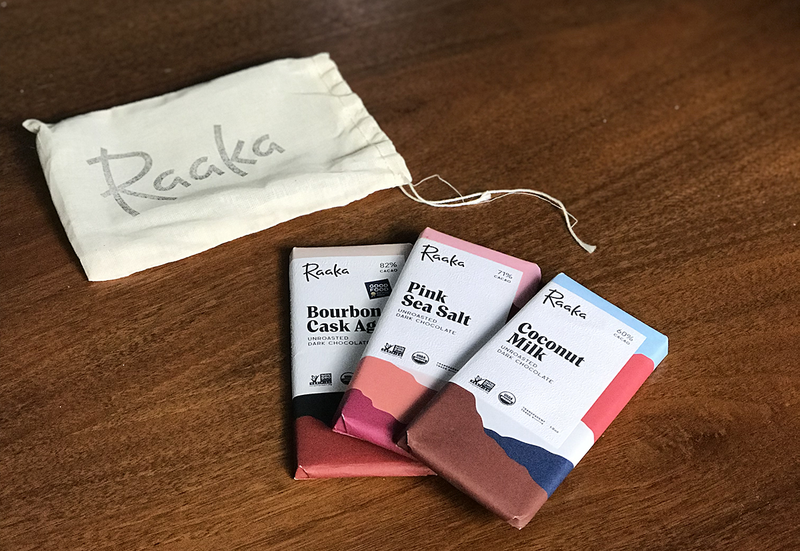 I like that you have a few flavors that you do really, really well, but are you planning to expand your products in the future? Hanes: I’m glad to hear you love the Lemon Poppy Seed cookies! Yes, we do have plans to add more flavors and possibly different products such as brownies in the future. In fact, we just re-released a Peanut Butter cookie that we featured back in August for a limited time; it was a crowd favorite, so we brought it back! K: Why vegan cookies? How did you get started? H: My passion for baking started when I was growing up. I loved helping my Mom in the kitchen, and this carried over into adulthood. On the weekends I would get in the kitchen and make biscuits, cakes, cookies, pancakes etc. from scratch. I enjoyed it and found it to be a great creative outlet for me. About 9 years ago, my wife stumbled upon some information online about factory farms and how we treat animals in the current agricultural system. It was pretty shocking and we were completely ignorant to it before that. She started reading more about the subject and sharing a lot of the practices and statistics with me. Over the following few years we both continued to decrease our consumption of animal products and eventually went vegan. This created a new challenge for me: how do I continue to bake and enjoy a lot of the comfort foods that I love making so much without animal products like butter and eggs? I got in the kitchen and got to work. I tried lots and lots of different recipes and found that I love vegan baking! I find that the vegan baked goods taste even better than the traditional counterparts, and they’re certainly better for animals, the environment, and even our health. I received rave reviews for my vegan cookies. They were being requested anytime we would go to friends’ houses or events. A couple of years ago, I started A Better Batch to make them available to people seeking amazing plant-based desserts everywhere. K: What makes your batches better, i.e., what distinguishes your cookies from similar brands? 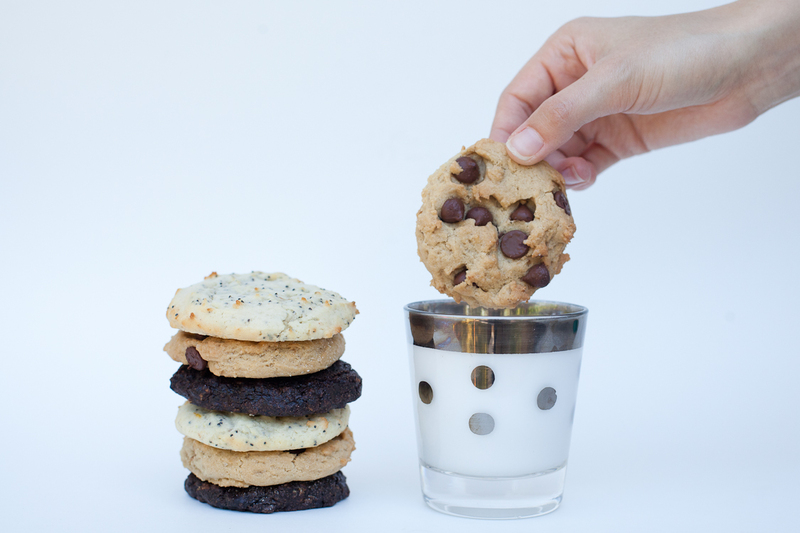 H: At A Better Batch, we work hard to make sure that our cookies are the best vegan cookies on the market — not only in flavor but also in all aspects of our decision making. We are constantly seeking the best ingredients, which to us means using organic, GMO-free, and socially responsible products. For example, the coffee we use in our Mocha Oatmeal flavor is made by Brewing Good Coffee Company which is organic, Rainforest Alliance certified, and UTZ certified (a sustainable farming certification that covers farming practices, environmental impact, and social and living conditions). Also, their company donates a portion of proceeds to animal charities each month — how great is that! We refuse to use palm oil because of the devastating impact its production has on orangutan habitat. Our sugar, vanilla, and salt are all fair trade. Our boxes are made of 100% recycled material, and we don’t use Styrofoam in our shipping boxes; instead, we use an eco-friendly, biodegradable insulation. We take the taste of our cookies seriously, and we also take caring for the environment and animals seriously. K: What’s the process like for developing new products? How long does it take? H: It usually starts with me wanting a particular flavor and then I try and think about how that would look. Then I get in the kitchen and try to make it happen, which really is the fun part, as I get to eat lots and lots of test cookies. Sometimes it’s a very quick process, as with my Peanut Butter cookies (it was the very first attempt that I ended up going with!). Other times, it takes much longer. I’m currently working on a refrigerated cookie dough that you could either just eat with a spoon or bake; it has taken over 3 dozen attempts so far. K: If you could select any flavor cookie to magically have developed and ready for production, what would it be? H: Salted Caramel! This is a cookie I have worked on before and plan to return to. It has proven tricky. I would like a nice soft sugar cookie that has little bites of gooey caramel with a slight sprinkling of sea salt on top to bring it all home. I’m a huge huge caramel fan! K: I noticed that all your packaging is eco-friendly — how is that tied to your business as a whole? Does that ethic inform everything you do? H: We want to be the best vegan goodie, not only in flavor and quality, but also in all the little decisions in between such as the packaging. It’s important for us to make our products the very best way we can and that includes taking our impact on the environment into consideration. K: Are you a full-time cookie baker, or do you have a(nother) day job? H: I work during the week as an accountant. A Better Batch is my passion project, which is what I work on in the evenings and on the weekend. It does create a busy schedule sometimes, but the cookie business doesn’t really feel like work! Happily, A Better Batch generously offered to share the vegan goodness with one reader. Just visit the ABB website and let me know in a comment which flavor you want to try! One lucky winner will receive a box of all three flavors (worth about $58 including shipping). Sorry, my international friends — U.S. readers only this time! I’ll randomly select a winner at 5:00 PM Eastern on Wednesday, May 4, 2016. If you don’t win but want to try these yummy cookies anyway, just sign up for the ABB newsletter to receive 15% off your first order. You can also check out ABB on Facebook and Twitter. *Disclaimer: After tasting their cookies on a few occasions throughout the past year, I reached out to A Better Batch and asked if they’d like to be profiled here. Although they did provide me with some cookies to taste for this post, all opinions are 100% my own. I enjoy supporting local, vegan-owned businesses and will never promote a company I don’t believe in just for the sake of some free samples. All photos in this post courtesy Rebekah Collinsworth. If you’re a regular over at One Green Planet, you might have seen some of my recipes published in their Recipe Monster section. And if you’re not a regular, you should check it out! OGP is a fantastic resource for all things animal- and eco-friendly, from tips on living consciously to sweet animal stories to brighten your day. Recently, my contact over at OGP let me know about a brand-new iPhone app they’re launching on Earth Day (April 22) and asked if I wanted to try it early. Um, yes please! I’d just gone through the arduous task of making space on my phone, so I figured I might as well fill up that space with an all-vegan recipe app. Read on for my thoughts! When you first open the Food Monster app, you’re treated to a stunning photo overlaid with the OGP logo. (See screenshot above.) I like the simplicity of that opening shot (which varies each time you open the app), but I wish it stayed there longer and that you could access a menu from that open screen. Instead, the app quickly jumps you right into the main page, and not quite seamlessly — there’s a little lag, and the image gets stuck for a second. Review the latest recipes from the home screen. Tapping a recipe brings you to a screen with more info, including the ingredients, prep steps, and even comments for that particular recipe. You can also add the recipe to your favorites or send it to someone using the standard iOS sharing options. Access “features,” which are OGP’s Buzzfeed-style lists (e.g., 15 Ooey-Gooey Caramel Recipes), and then follow links to the recipes listed in those features. Search for recipes by ingredient, name, or other keywords. There’s also the option to search within your bookmarked recipes only, which is handy if you know you saved something and want to find it quickly. Browse recipes in a variety of ways, including by season, meal, ingredient, or diet (e.g., high-protein, gluten-free). Stay on top of what’s hot with easy access to popular themes and recipes that are currently going viral. Bookmark your favorite recipes to use later. The integration with OGP’s lists (aka the features). The OGP editorial team must have it pretty good — they get to compile lists of mouth-watering recipes and share them with hungry vegans! I always enjoy their lists and I like that they’re included in the app so that users have a different way to access content (rather than just searching or browsing recently added recipes). The multiple ways of finding content. I appreciate that you can browse pre-made collections (see screenshot above) or narrow down your search using keywords. That the collections aren’t just simply based on type of meal or ingredient — they’re more creative than that. Having pre-made lists of budget-friendly recipes or quick recipes is really handy. The animations are in general a little clunky — they often lag or stick a little bit, which detracts from the overall user experience. The fact that you can’t access the home screen by tapping the Food Monster logo at the top — that’s how I intuitively want to do it, but it doesn’t work. Instead you have to tap the hamburger button, which opens a menu on the left side, and tap Home from there. Within a recipe, there’s an option to favorite the recipe with a simple heart icon or by tapping a bookmark icon, which opens a menu and lets you categorize it by meal or diet right then and there. Having two ways to save a recipe seems unnecessarily confusing. My overall opinion is that this app was generally well-thought-out, but it has some implementation issues. The design mixes very modern, clean images (i.e., the opening screen) with a slightly dated design on the interior screens. I can tell that the developers and UI team wanted to mimic the look and feel of the OGP website, but I’m not convinced it fully works on mobile. The laggy animations are distracting, and it’s a little buggy — I had trouble getting links to work a few times. Is it worth $19.99? I don’t think so. Few apps are; twenty bucks is super steep and is not at all in line with market prices. 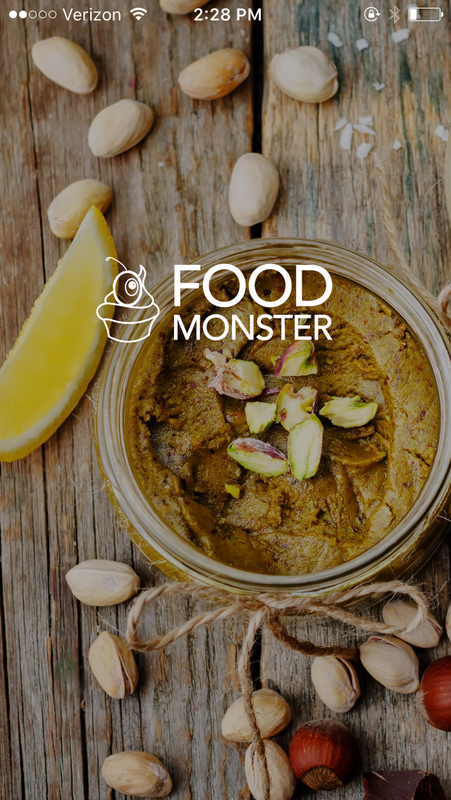 All the content on Food Monster is available (for free!) on OGP’s website, making it difficult to justify the high price tag. That said, I’m looking forward to using it more thoroughly over the next few months to get a better sense for how well it works when I’m in the kitchen. In the meantime, I’m saving all sorts of delicious-looking recipes for later use! The Food Monster app will be officially released on 4/22, but you can purchase and download it early using this link. If you do, let me know what you think! *Disclaimer: I was given a free one-year subscription to the app (valued at $19.99), but all opinions are thoroughly my own.